There is no question that home prices cool, and heat up, regularly and, due to the seasonality of the real estate market, are even somewhat predictable in this fashion. 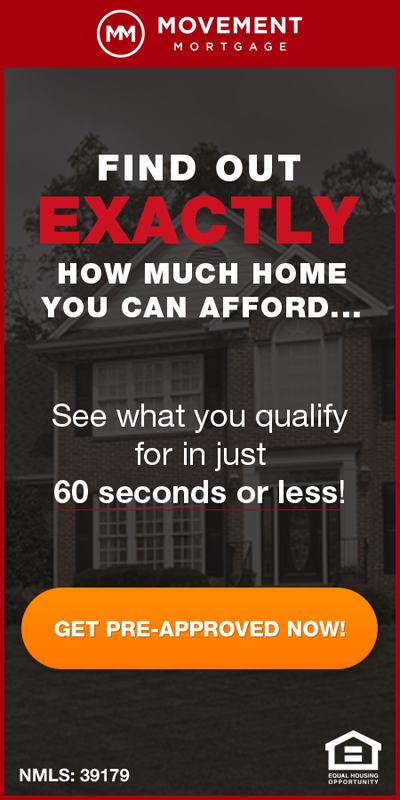 Therefore, should the recent headlines about home prices slowing be of concern to home buyers and sellers in St Louis? This is a question I’ve been hearing a lot lately and will give my thoughts on here. As our 5-year chart below clearly illustrates, St Louis home prices fluctuate every single month of the year, year in and year out. In fact, if you move your mouse around our live chart (click on chart for live one) you can see the data for each month and I don’t think you will find two months in a row that were the same. The other thing our charts make it easy to see is the seasonality of home prices. If you look at the purple line, which represents St Louis home prices over a 5-year period, you will see the same pattern is repeated year after year. St Louis home prices increase every year going into spring, typically hitting the peak with sales that close in June, or sometimes July. Then, after peaking, home prices in St Louis start the slow descent downward until hitting the lowest point in January or February, then start the cycle all over again. In normal times, such as the 5 years depicted on the chart below, each spring peaks higher than the spring before and each winter low is higher than the prior winters low. Are St Louis home prices cooling off though? 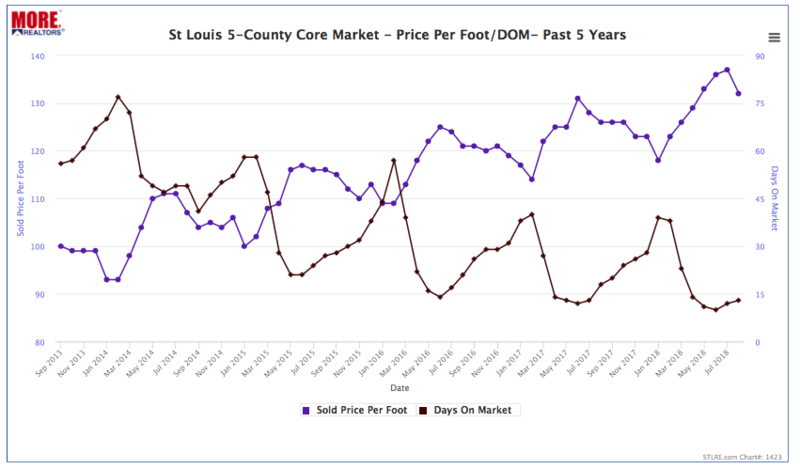 Now that we’ve reviewed how St Louis home prices fluctuate, lets address whether they are cooling off though. In other words, are St Louis home prices trending downward, indicating they will be rising at lesser rates in the coming months? 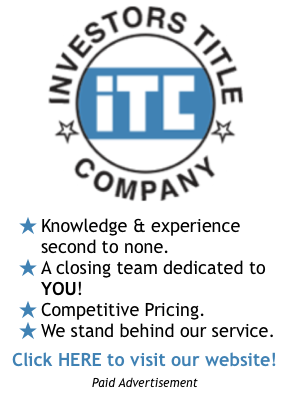 This is where our proprietary St Louis housing market data software and custom charts come in handy again and make it easy to answer this question. 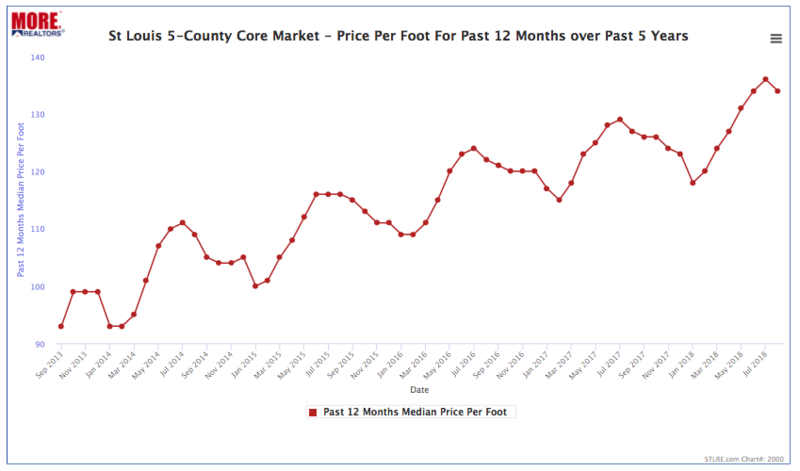 The chart below shows the median price per foot for homes sold in the prior 12 months for each month of the past five years. This is a great chart to use to recognize a trend. From the above, it appears to me the seasonal price swing this year has been fairly consistent with prior years and, while maybe slowing just a little, peak home prices have increased year to year at a fairly consistent rate. The jump from 2015 to 2016, at 6.9% was higher than normal, but the other years are at rates that are close to historical norms. In summary, while the price appreciation may have slowed slightly, which, quite frankly, is probably god so that a reasonable appreciation rate can be maintained, I don’t see any cause for alarm nor any imminent major shift in St Louis home prices at this point.